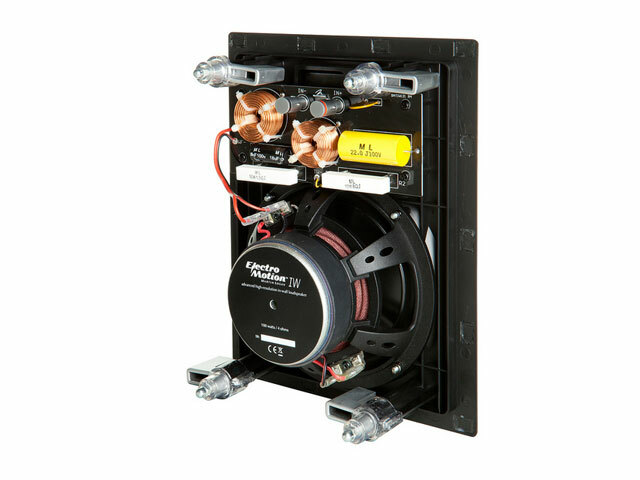 The EM-IW features our exotic Folded Motion tweeter and a 6.5-inch aluminum cone woofer with cast aluminum basket that provides powerful low-frequency bass extension. This stealthy inwall speaker blends seamlessly into any home thanks to it's ultra-low profile, micro perforated grille with no visible bezel. 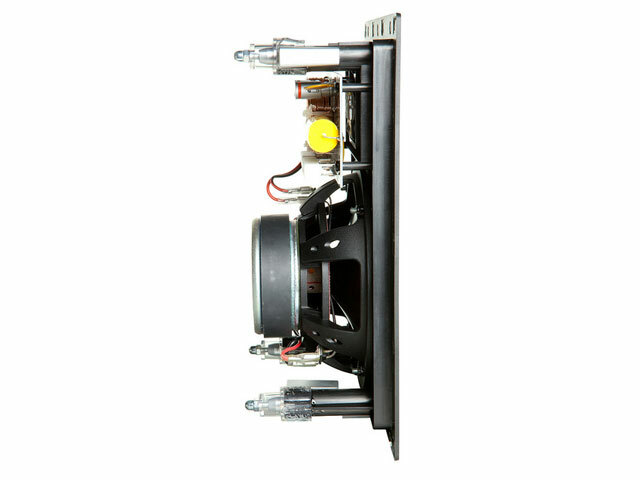 Folded Motion™ Tweeter MartinLogan's exquisite Folded Motion tweeter boasts a radiating surface 8-times larger than a typical 1" dome tweeter. The Folded Motion tweeter works by moving air (which creates sound) perpendicular to the folded ridges of the diaphragm, similar to how an accordion works. 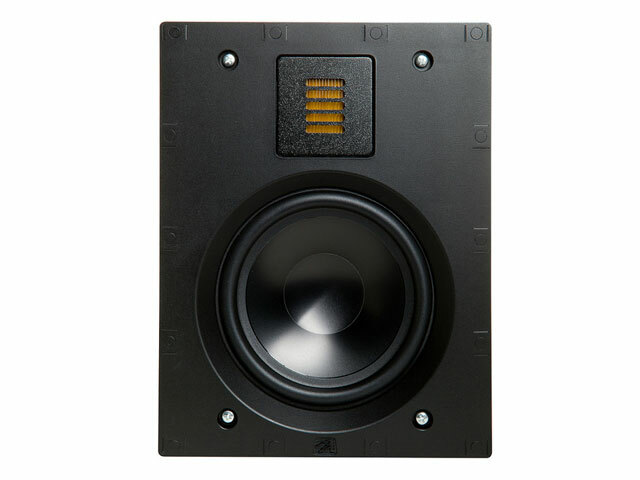 This extremely low mass diaphragm "squeezes" air and requires almost 90% less excursion than the typical 1" dome tweeter, which drastically minimizes distortion while providing a lightning fast response time. 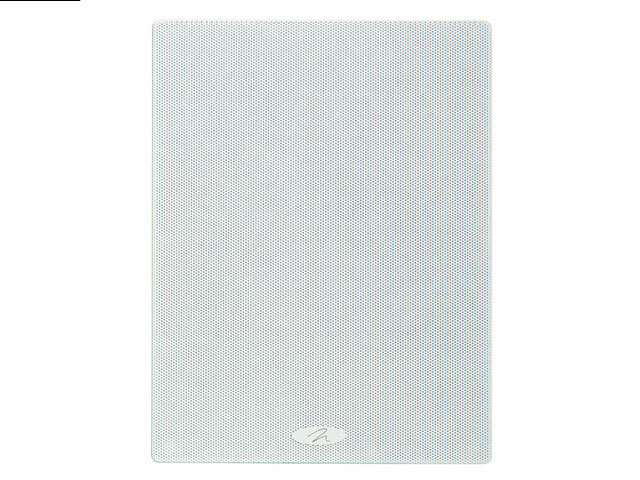 The increased surface area also provides a wide, yet controlled sound dispersion to create a realistic and carefully etched sound stage. Stealthy Grilles MartinLogan's new architectural speakers feature ultra-low profile, paintable micro perforated grilles with no visible bezel for near invisible integration into any wall or ceiling. A magnetic system secures grilles easily into place, reducing the risk of warping or damage during installation.